Personalise your products and raise your brand awareness with our state of the art laser etching service offered at highly competitive rates. Features: Vandal resistant with resinated electronics, ideal for outdoor use thanks to a waterproof IP66 protection rating Sta.. Features:This keypad comes with a cable attached at a length of 2m.IP65 rated access control system digital keypad 12/24V AC/DC.. Features:Terminal Block Version of the EASYBKA - Ideal when running your own cable.IP65 rated access control system digital keypa.. Features:IP65 rated access control system digital keypad Wiegand 26/30/37 bit or data & clock output modes Blue backlit Ant.. This keypad has been discontinued and directly replaced by the Prastel EASY-DT keypad. 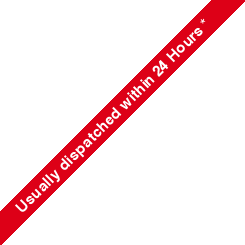 Click here for more information.Technical Specificati.. The DK-14 is an ANSA radio controlled digital switch for use outdoors and indoors. Complete with backlit metal operating buttons. .. Car Height Keypad Posts, made to Bolt Down or Concrete in.Call us for more sizes or make and model of keypad. Dimensions .. Features:1000 User Cost Effective Non-Volatile Memory Fully Programmable Externally Rated Dual Relay Outputs EM125Khz..
Wireless fingerprint scanner​.Features:Opens Liftmaster gates or garage door systems with fingerprint. Completely wireless. F.. Compatible with 4xxxE 433.92 MHz Remotes, including: 4335E, 4335EML, 4330E, 4330EML, 4333E, 4333EML, G4333E, G4333Features:Perso.. Compatible with discontinued 418 MHz Remotes, including: 4185E, 4180E, 4183E, 4185EML, 4180EM .. This wireless keypad has had a change of model number. It was previously the DS1 but is now known as the DS100. Nothing else has changed.&nb.. 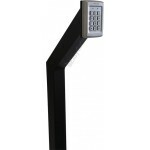 The Nice Era Wireless Keypad EDSWG is made of vandal proof metal with a 27 millimetre depth. This product has an IP of 54. The keypad h..